The IWMW 2001 event, the fifth in the series, was held at Queen’s University Belfast (QUB) on 25-27 June 2001. In this guest blog post Ricky Rankin, a member of the event organising committee and the local contact for the event, gives his reminisces of the vent held almost 15 years ago. The inaugural IWMW event (held at King’s College London in 1997) could not have been more timely as I had just been made manager of the Computer Mediated Communications group within Information Services at Queen’s. This workshop allowed me to quickly get up to speed with the technologies so that I could almost understand what the techies were talking about. Over the years it has been a great source of useful information and access to knowledgeable people – although I considered myself a competitive individual (in sport), I quickly learned not to compete with colleagues in the various taverns that were frequented over the years. Following the 2000 IWMW event two members of staff returned and mentioned that Belfast had been suggested as the venue for IWMW 2001 – any opportunity to put QUB on map accepted. UKOLN then looked after the registration process. Once confirmed that QUB was to be host then some entertainment and trips needed to be organised. Being Northern Ireland we experienced a little ‘local difficulty’ just prior to the event. This resulted in a number of concerned emails enquiring if it was safe to travel to Belfast. As luck would have it the ‘local difficulty’ was just around the corner from where the mammy lived so I was able to confirm that it was in an area confined to a couple of streets miles away from the University and that it was safe to travel. Several years later this came back to haunt me when I had to travel to London after 7/7 – how could I encourage people to travel to Belfast and not take myself off to London. Bus trip organised to showcase Belfast – Stormont, up the Shankill (orange) and down the Falls (green). I was informed after the event that one of the tour buses broke down and the tour guide commandeered one of the local transport buses and ordered passengers off and delegates on – you don’t get service like that today! While I didn’t attend I believe several delegates found their way to some of the local watering holes – the Crown bar comes to mind! I enjoyed the event and was glad to be able to help. But I’d like to conclude these reminisces with a question: Is it not time that the event returned to Northern Ireland? Web Focus: Report on the Fifth Institutional Web Management Workshop, Ariadne, issue 29. IWMW 2001 was the longest of the IWMW events, starting at 09.15 on Monday 25 June and finishing at 12.20 on Wednesday 27 June. The £250 entrance fee included 3 nights’ accommodation. With 150 delegates, the event was the largest IWMW event at the time. The average mark for the overall workshop content (on a scale of 1 for poor and 5 for excellent) was 3.7 with 13 respondents rating the content as excellent. The two plenary speakers with the highest scores (Alan Collins from Queen’s University Belfast Paul Helm from Sheffield Hallam University) provided institutional case studies and were honest about the difficulties they have encountered; a good example of the value of case studies which acknowledged technical, organisational and other challenges. There were 8 plenary speakers for the 7 talks, of whom 2 were female. Plenary speakers from beyond the UK’s higher education sector were Ed Bristow (Australian Taxation Office), Peter Flynn (University College, Cork) and Mark Ray and Andrew Savory (Luminas). The second day consisted of eight half-day workshop sessions held in the morning and two sets of 90 minute workshop sessions in the afternoon. Of the 22 workshop sessions available delegates could attend 3. Technical innovation at the event included live video streaming of several plenary talks. 1st time I’ve attended; overall it was well organised. The guided tour was worthwhile; informative and humorous and offered the chance to see areas of Belfast I otherwise wouldn’t have seen. Programme well paced. Appropriate length and size (number of delegates). Plenty of scope for people networking’. Generally, it was great to meet people with similar interests and problems – the meeting people was more useful than the listening bit! Yet again, the best conference I have attended this year. Parallel sessions particularly good. Organisation both before and during excellent. Staff at Queen’s particularly catering staff, charming and helpful. Ricky Rankin was a Principal Analyst within Information Services at Queen’s University Belfast from 1990 until his retirement/escape in December 2015. For a number of years from 1996 he was responsible for the Computer Mediated Communications group. Part of the early work of the group, as with many institutions, was to revamp the University web site. Working with colleagues from Teaching and Learning, Paddy Daly, a tender process led to the Terminal4 Site Manager CMS being installed. 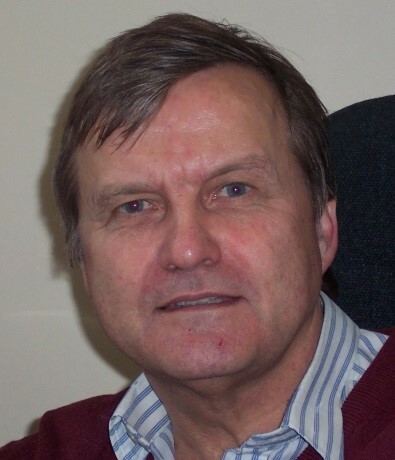 Ricky attended many of the early IWMW workshops and co-presented a plenary talk on “Content Management – Buy or Build?” with Gareth McAleese, University of Ulster, at IWMW 2003. In subsequent years it was more beneficial to let techies who understood the technologies to attend.